On February 27, 2013, the U.S. Supreme Court heard oral arguments in a case challenging the constitutionality of an important provision of the Voting Rights Act of 2006. That provision imposes a requirement in section 5 for certain states to obtain pre-clearance from a special federal court or the U.S. Department of Justice for any changes in their election laws. The opinion for the Court was written by Chief Justice John Roberts, who was joined by seven Associate Justices (Stevens, Scalia, Kennedy, Souter, Ginsburg, Breyer and Alito). The Roberts opinion interpreted the statute as reauthorized in 2006 to allow any covered jurisdiction, including the utility district bringing suit in that case, to seek bailout, thus avoiding the need to resolve whether the 25-year reauthorization in 2006 was constitutional. As a result, the rest of the opinion’s extensive discussion of constitutional concerns over the 2006 statute technically are dicta, but the Supreme court’s dicta are obviously important for the lower federal courts and legal observers to see which way the winds are blowing. Roberts acknowledged that in 1965 when the original statute was passed, “unconstitutional discrimination was rampant and the ‘registration of voting-age whites ran roughly 50 percentage points or more ahead’ of black registration in many covered States” and that the Court had upheld the constitutionality of the original statute and its extensions through 2006. 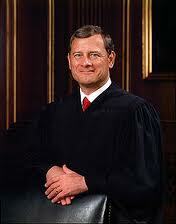 However, Roberts left the distinct impression that at least he thought that since 2006 the work of abolishing racial discrimination in voting was over. But Roberts did not refer to, quote or discuss the extensive congressional findings in the Voting Rights Act itself that fighting voter racial discrimination was not finished. 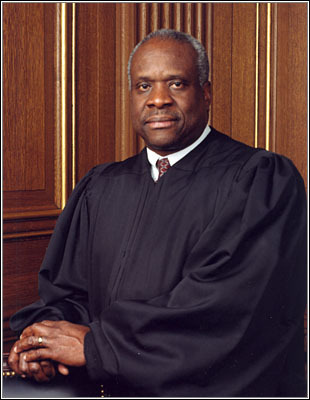 Associate Justice Clarence Thomas filed a separate opinion in this case, concurring in the judgment in part and dissenting in part. The 2006 statute’s correct title is the Fannie Lou Hamer, Rosa Parks, Coretta Scott King Voting Rights Act Reauthorization and Amendments Act of 2006. Another predicate to the recent Supreme court argument will be discussed in a future post: the 2012 decision of the U.S. Court of Appeals for the D.C. Circuit that is the subject of the recent argument in the Supreme Court (Shelby County, Alabama v. Holder). Next Next post: Mexican Court Invalidates Former Mexican President’s Claim of Immunity from Alien Tort Statute and Torture Victims Protection Act Case in U.S.